whole process is centrally controlled by PLC, and centralized monitoring on the host computer. 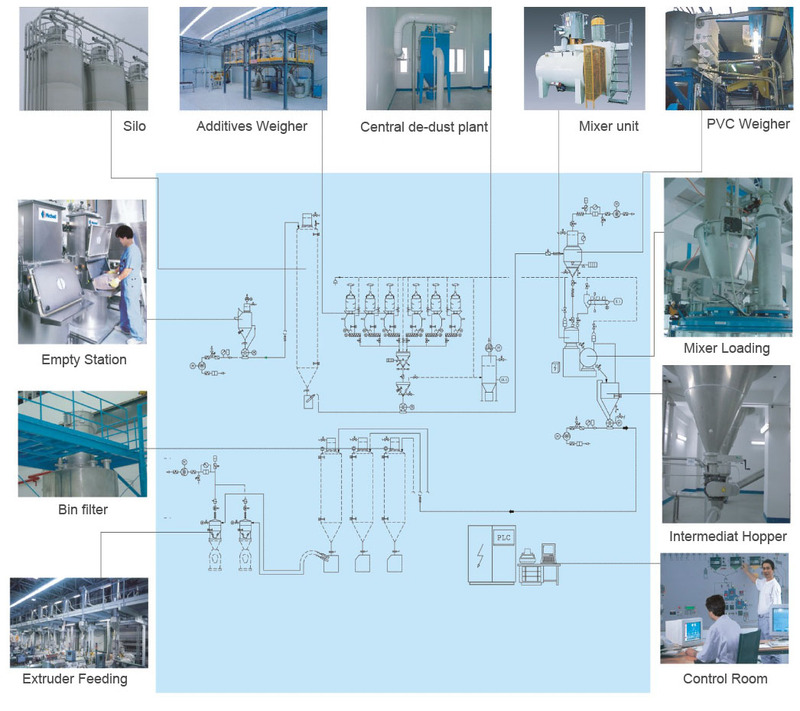 Mixing system include conveying, dosing and mxing pvc,caco3,other additives to make pipe, sheet, wpc, etc. production statistic, random print, dynamic supervision, fault alarm, multiple password protection and so on.